The rent at Studio apartment 1220 Brook Ave Se Apartments ranges from $900 for a studio to a $2,025 three bedroom. Apartments in this building are about 18% more expensive than the Como average. This is a cat-friendly apartment. This apartment is in the Como neighborhood in Minneapolis. Nearby parks include Van Cleve Park, Marcy Park and Dinkytown Knoll. Studio apartment 1220 Brook Ave Se Apartments has a Walk Score of 53 out of 100. This location is Somewhat Walkable so some errands can be accomplished on foot. 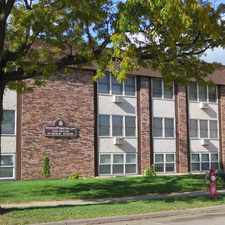 Brook Ave Housing Co-op is a Minneapolis Apartment located at 1220 Brook Ave Se. The property features Studio - 3 rental units available starting at $900. Amenities include Cats Ok and In-Unit Laundry. Internet Included, Cable Included, Water Included, and Trash Removal Included included. Covered Parking parking and Garage - Attached parking available. Looking for a home for sale in Minneapolis? Explore how far you can travel by car, bus, bike and foot from Studio apartment 1220 Brook Ave Se Apartments. Studio apartment 1220 Brook Ave Se Apartments has good transit which means many nearby public transportation options. Car sharing is available from Zipcar and RelayRides. Studio apartment 1220 Brook Ave Se Apartments is in the Como neighborhood. Como is the 49th most walkable neighborhood in Minneapolis with a neighborhood Walk Score of 66.